We invite you to join us. Experience and be inspired by the heart of Congregation L’Dor Va-Dor. Uniting spirituality, social action and smiles. Please come and meet us and see for yourself how welcoming we are! We Welcome ALL through OUR DOORS. For more information call us at 561-968-0688 or email us at info@ldorvador.org .Click on the below button to sign up to be on our email list. The Boynton Trail Center is located between Boynton Beach Blvd and Old Boynton Road on the east side of Military Trail. We are in the middle of the center to the right of the blue roofed rotunda. We are located on the second floor, just below the beautiful lighted blue sign “Congregation L’Dor Va-Dor”. Please enter via the elevator or stairs located within the rotunda, just to the right of the Porto Bella Italian Restaurant. From the elevator (or stairs) on the second floor, walk to the double glass doors, diagonally across and to the left of the Boynton School of Music, Dance & Drama. Walk through the glass doors and continue straight to the double white doors straight ahead to enter our sanctuary. TIME IS RUNNING OUT FOR OUR DISCOUNT PROMOTION! Get in on the deal – ends April 30th! FIRST OF ALL … Welcome to all of our NEWEST MEMBERS and our RENEWING MEMBERS! Thank you all! We would LOVE to have YOU TOO become a MEMBER of Congregation L’DOR VA-DOR and start taking advantage of the benefits of membership! You will also be SUPPORTING us in all of our efforts and programs! 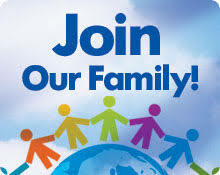 We are a family and we want you to be a part of our family / mishpacha! WE NEED YOU! PLEASE SERIOUSLY CONSIDER JOINING AND/OR RENEWING YOUR MEMBERSHIP! Join us NOW and your Membership will continue THROUGH AUGUST 31, 2020! AND … it will INCLUDE HIGH HOLY DAY TICKETS for this Fall, reduced pricing on much of our programming (as you can easily see within this newsletter) and much, much more! RENEW OR JOIN US and PAY IN FULL BY APRIL 30, 2019 and be entitled to $25 DISCOUNT PER ADULT from the annual dues. For your convenience, you can click on the link below and see our current Membership form. Please print the form (both sides) and complete and return to us with your first or complete payment. We are VERY APPRECIATIVE OF ALL OUR MEMBERS! This BRAND NEW COURSE will utilize and build on the NJOP’s READ HEBREW AMERICA program and go way beyond! We will learn how to recite some of the holiday prayers, their meaning and historical value, augmented by song and conversational Hebrew to make this a REALLY FUN and INTERESTING educational experience for ALL involved! The recent Read Hebrew America graduates loved their classes with Rabbi Martin, so please JOIN IN ON THIS WONDERFUL and COMPLIMENTARY NEW SERIES! This will be an advanced beginner (or early intermediate) course in the process of learning the Hebrew language. An ability to identify the Hebrew Aleph-bet and to read basic Hebrew will be helpful. 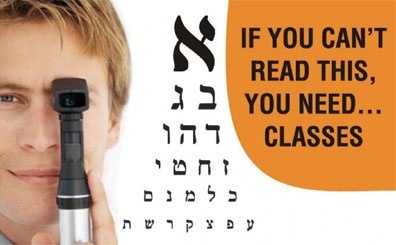 There will be approximately 6 to 8 classes starting April 1, 2019 (meeting on the first and third Monday evenings) and two more classes prior to the High Holy Days. This class will focus on learning Hebrew prayers, songs and conversational Hebrew phrases. We will be improving prayer book reading skills for those commonly used in Shabbat celebrations. We will also learn what the prayers mean and their significance. Prior to the High Holy Days, we will review prayers specific to these holidays. We will have a singing component, led by our “Songsters” volunteer choir. We will also incorporate conversational Hebrew phrases and a feel for modern Israeli Hebrew and signage (useful for travels to the state of Israel). This program will be open and complimentary to the Community and Congregation. Donations are welcome.